Akzhupar, thank you for the post! Personally, I think that the problem of youth unemployment is connected with pre-school, secondary school and higher education. We should understand that education is the complex system. One problem in school causes another more serious issues in the future. That is why, fistly, pre-school and school levels should raise interest of children for different kinds of professions. Secondly, the government should give the opportunities to school graduates to choose their major. Thirdly, the parental involvment in education is also important. Children need the encouragement and support of parents. Every person has the real passion and talent. Developing these talents, we will not have the problems with unemployment. Thank you, you’ve made very good points. Personally, I agree with you that everything happens earlier, in the beginning. The attention should be payed to early stages of students’ life: pre-school and school time. And I think that Kazakhstan is making steps toward these issues, however, as we know, it is quite hard to make two things at the same time. We just need time and tolerance to make, improve and realize the dreamed initiatives. One more point I would like to mention that parental involvement plays a crucial role in students’/childrens’ life. And in my opinion, it might have positive and negative affects on students’ future choice. I mean that if parents is involved too much it will cause a loss of individuality of a student, and if the involvement is too low then the student can go astray somewhere. So parents should treat their children in balanced tone with clear and open mind but without pressure and indifference. Akzhupar, you raised very current issue of present time. But I hope, after the graduation we won’t face this problem. I would like to draw your attention to another issue, the graduates of Bolashak program. After receiving Bachelor’s or Master’s degree abroad, most of them stay unemployed for long time at home. They sit at home and wait for perfect job to be dropped from the heaven. They saw the world from the other perspectives in foreign countries, and now they are not accepting the real life and can’t make up their mind to Kazakhstani conditions. Maybe they returned with the idea of being a boss and earning more than $70 000 annually, but indeed it never happens to them, they never get such a huge salary and social package that are offered in Western countries. The reason of this unemployment is catching the Stella and becoming high minded. Another issue is, from the childhood, we were taught that there are good professions and the bad ones. Which is very inaccurate. From my personal experience, my parents have forbidden me to sing and dance, saying that I would never earn enough or even a bread being a singer or dancer. Then I might have intentionally changed my better skill to another, burying my dreams. So just like mine, there are other parents who might also not consider other professions like Cookers, Bus-Drivers, Dress-makers and Janitors & etc seriously. However, these sort of prescribed mediocre profession are the most viatl and important ones. Our life routine circulates around them, we go to school by bus, we eat at the canteen, and we buy clothes that were sewed by Tailors. The point is as sholpannur mentioned, children should be introduced diversity of professions with a huge interest and the most important taughtthem to respect these professions. Maybe in this case we can decrease and avoid future unemployment issue. Thank you Meru for your thoughtful feedback. I think that the graduates of Bolashak program is another big issue. I have just covered local initiatives that were directed to the unemployment of youth who graduated from Kazakhstani higher education instituions. Nevertheless, I would like to add some concerns to the raised thoughts. In my opinion, the Bolashak program is actually an insufficiently considered project. The establishers of it planned everything exept the demands of the labor market in Kazakhstan.The “Bolashakers” didnt go abroad just to study in worlwide top universities and to come back for super jobs; they were intentionally sent to abroad in order to bring some new ideas or thoughts that will be apllicable and provable in the kazakhstani context. They came to Kazakhstan with willingness to employ their knowledge and experince in practice, but the government, again the founders of the programs, didnt expect them to come too soon and that they would require achieveable positions. The problem is in the strategic planning of the program, before presenting it to the public the government had to take into account the consequences of the program. Akzhupar, this is a very hot topic to discuss! Thank you! As I’ve read the post and comments, several thoughts came to my mind. Firstly, I think that in most cases, higher education institutes focus on more theory rather than practice. I don not fully satisfy with education policies of most HEI-s, even the assesment system does not allow the students to see their mistakes and get feedback (I saw real situations!). Secondly, yes, higher education diplomas do not guarantee a job, because most of the students are just wasting times not choosing their professions correctly. School graduates as well as their parents want to get a state grant, and are ready to enter any profession as they will get a free grant.The more than half of my bachelor groumates are not working in educatioanl fileds, but in places which have no connection with education. It’s a thousand pities to know that most of young students are losing themselves studying in not “THEIR” fields. Thirdly, requirements of employers are high due to globalisation, modern technologies and competition. That is why instead of losing time, we have to consider about expanding our horizons and developing ourselves, not only in terms of listing degrees, but also in terms of human moralities and real knowledge. Thank you Almazhay for your meaningful points on this issue. I have also thought about the free education system in Kazakhstan and its effects on student choice of a major. Indeed, this tuition policy (namely, dual track tuition fee policy) drives either parents or students crazy nowadays. The main issue here is the cost of higher education. Most of middle-and-low-income families can hardly afford a degree for their children. And that’s why they demand or sometimes give a task to get a state grant and study for free. I think almost the majority of children in Kazakhstan face it: to get a scholarship of whatever major or to go to college or work. And at the end, the universities produce reluctant and unprofessional students. Concerning the labor market, there should be collaboration between employers and HEI’s. and only then graduates would be aware of what to expect in workplaces. This is one of the main issues of HE in Kazakhstan. However, there are two sides as I mentioned earlier, like in a medal. I would like to discuss the side of the graduates’ perception. Unfortunately, most of the university graduates do not see themselves working in the factory. Instead, they are waiting for their relatives, lying in front of the TV, to find a job in the cozy offices. As a result, factories are empty or occupied with foreign workers. This is one of the reasons of youth unemployment. Two main factories in Tekeli, the small town next to Almaty, can be good examples. The factories, which work on processing milk and corn, increased to provide the youth of Almaty oblast, particularly the graduates of VET colleges, with jobs with competitive salaries, starting from 80 000 T. The program was indicated by the mazhilisman Saken Zhylkaidarov. What to you think happened to those factories? They did not stop working, but one half of the employers remained occupied by elder people, the other by citizens of Kyrgyzstan and Uzbekistan. The graduates of Almaty oblast refused to work in those factories and left to Almaty searching for better jobs. Therefore, the perception about the employment should be changed. As future (or present) parents and teachers we should urge the young generation to grab any opportunity to gain experience and excel their expertise. We should explain that it is not about where you work, it is about what you gain and learn. Thank you for raising one of the most significant issues concerning the higher education and employment. First of all, in my opinion, the problem’s roots begun not in university level but at the earlier stages. In this point I will support the view of sholpannur who states that the education is like a mechanism or construction which consists of various elements. Therefore, the problem occurred in one level of the education (primary school) can lead to a number of issues in another level (secondary school). Children should be given the chances and opportunities to develop their inner talents, unique abilities and own interests. I think such support and help can be provided from both schools and parents. In other words, if a child is interested in painting, singing or dancing then the corresponding support encouraging to develop further the ability should be provided. Consequently, the child will know better what field to choose in the future. Secondly, concerning the programs launched to reduce the amount of employability can be perceived as beneficial, I suppose. For example, I know the cases when young people after graduating from universities went to a village via “Receive a diploma – Work in a village” program. This program seemed to them quite attractive and they enjoyed their experience in a new setting. Thirdly, there is a huge mismatch between graduate students’ skills and employers’ requirements for a job. That the issue which leads to the need of very strong research in Kazakhstan in order to reveal what are the expectations of both students and employers on the job, what are the possible solutions of the problem and what are recommendations for higher education institutions and work places and how to follow these recommendations. Thank you Akzhupar for such informative post! 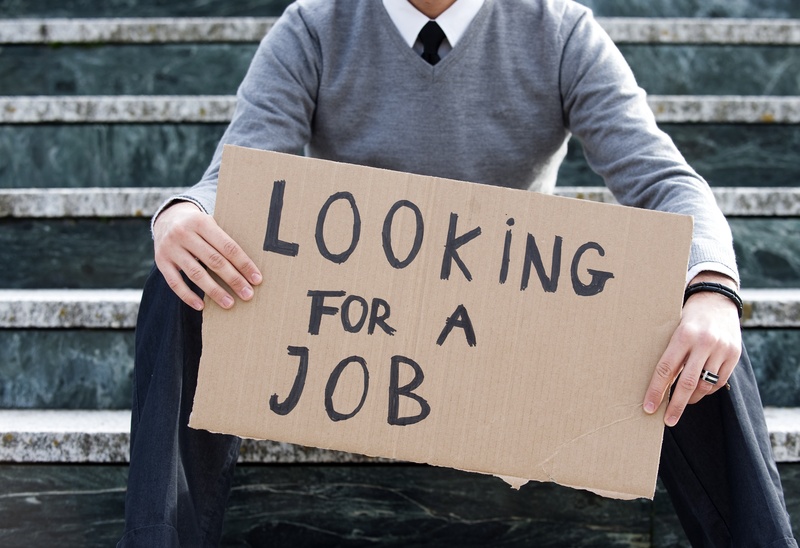 Unfortunately, the issue of unemployment concerns not only Kazakhstan but many countries in the world. Definitely, it does not mean that Kazakhstan can leave this problem far aside. Although this challenge is not easy to solve, policymakers and private sector representatives must pay attention for several aspects to raise employment rate. Secondly, school students have to be career guided, so that they know thier future career prferences which will lead to the balance between supply & demand. Consequently, dual education also must be taken into high consideration, because theory without practice is not productive & fruitful. For instance, Ulsan National Institute of Science and Technology is the first independent national university established as a national research university in Ulsan, South Korea. Daily, study is planned so that after classes students go to their fieldworks to practice. Necessary factories, labs or other research centers are located near the university which is very convnient for students. All in all, the issue of employmet should be very very systematically organized within political, economic and educational systems of the country. your topic is very interesting and one of the “hot” issues in Kazakhstan. In my opinion, all those programs are good and I believe they will successfully work further. However, as mentioned sholpannur, children’s interest to future should be developed and discussed at school. This issue should be considered during final years at school when children have to make their important choice. Unfortunately, in some cases children choose profession under influence of many factors. First of all parents, who pressure them by imposing their own opinion. Secondly, friends, sometimes “friends forever” do not want to break up. Another important factor are scores that students get after UNT. So, one of the ways to increase the number of employed graduates is to give them opportunity to choose profession themselves. The second way is to hire students without working experience. Yes, it sounds strange but as we know, many adolescents face this problem and find job not according their major but because they need money.